Washington (AFP) - President Donald Trump's daughter Ivanka said Friday that she is not worried about any threat that the Mueller Russia meddling investigation might pose to her family. The senior White House advisor, who is married to Jared Kushner, another of the president's closest advisors, told ABC News that there is "nothing" of substance in the 21-month-old probe by Special Counsel Robert Mueller into possible collusion between Moscow and President Trump's 2016 election campaign. Given that the investigation could nearly be over, ABC interviewer Abby Huntsman asked Ivanka Trump in an interview, "Are you concerned about anyone in your life that you love being involved?" "No. There's nothing there," Trump answered. "Yet it's created weeks and weeks and months of headlines. I'm not. I'm really not" concerned, she said. 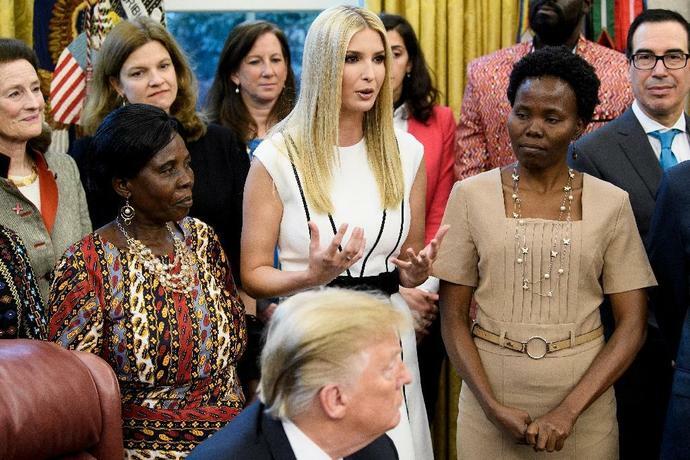 The rare interview with the president's 37-year-old-daughter came in conjunction with the launch of her new "Women's Global Development and Prosperity Initiative" to help boost women in developing countries. While she was deeply involved in the Trump Organization, the president's real estate business, Ivanka said she knew "literally almost nothing" about the Moscow Trump Tower project. "There was never a binding contract," she said. "We could have had 40 or 50 deals like that, that were floating around, that somebody was looking at. Nobody visited it to see if it was worth our time. So this was not exactly like an advanced project."